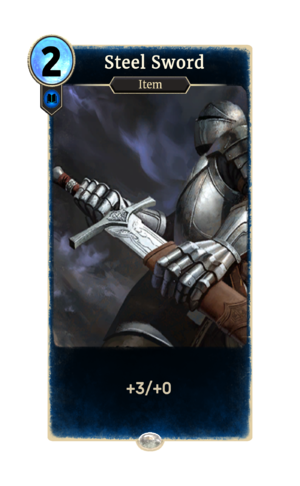 Steel Sword is a common Intelligence item card. It is part of the Core Set. In addition to the card's availability in the Core Set, one copy is included in the Dunmer Avengers deck. This page was last modified on 24 September 2018, at 23:22.